Is to reduce personal loss due to ineffective treatment or untreated mental illness symptoms and behaviors. It is our goal to provide person-centered support for community members impacted by mental illness through an open door campus approach to accessing information, resources and services. Community members are adults and families who are seeking support for themselves or for their loved ones to improve mental health wellbeing. Kiesler House is a peer driven community support program for adults recovering from mental illness in Itasca County. It is a place for members to gain self-esteem, job skills and a place to belong. Members and staff work side by side. Members have the opportunity to socialize, gain work skills, build friendships and gain cooking skills. Kiesler House is a place where mental illness is supported and accepted. 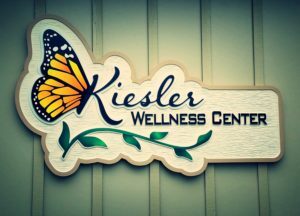 At Kiesler Wellness Center we are dedicated to providing a variety of programs to encourage wellness within the community. We are a walk-in point of access for any community member impacted by mental illness Our Wellness Advocacy Program Coordinators are available to assist members of the community in establishing services they may need, as well as help navigating health care systems. For more information on any of our programs or to learn more about our referral process give us a call. Our Wellness Advocacy Program Coordinators are available by phone, email, walk-in or by appointment. The Members take the prominent role in managing the membership program and provide direction for new Kiesler development. Peer Support Specialists (PSS) provide participants one on one support through the sharing of mutual understanding of the mental illness journey with first hand experience. Adult Rehabilitative Mental Health Services is support that enables the recipient to develop and enhance life skills that are affected by symptoms of their mental illness. Northern Opportunity Works is an employment program that helps individuals with mental illness obtain and maintain competitive employment in the community. A CWICK specialist is able to provide benefit analysis for people who are on Title 2 and Title 16 benefits through social security and want to go back to work. In partnership with the MDHS it is our goal to provide information, education and connection for Certified Peer Specialists to agencies who are looking to hire CPS and adults who want to be trained and employed as CPS. A voluntary program designed to increase access to community mental, medical, dental health and substance use treatment services. This is a program designed to teach a affordable ways to shop for and prepare healthy food that is home cooked. We teach members how nutrition impacts mental and physical health. Wellness Advocates will extend hope of recovery to many individuals beyond our members and make a positive difference in the community by bridging gaps in navigating the local health systems and obtaining desired services. This employment program is for people who would like to work off of Title 2 and Title 16 social security benefits.